EXHIBITED: Frist Center for Visual Arts The Artists Voice 2008, Nashville, TN. EXHIBITED: 2009 International Guild of Realism exhibition, Naples, FL. 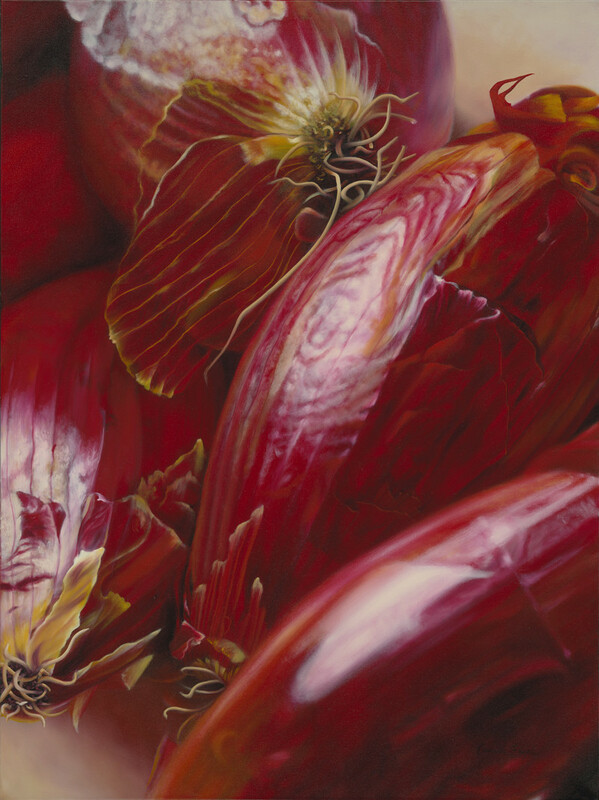 Inspired by the amazing colors and abstract patterns that can be seen in the surface and translucent skins of red onions. These onions in particular are Italian Torpedo Red Onions - they are small, long, and spindle-shaped and have a mild taste.